Susan Jacobson’s research explores the human dimensions of wildlife management. Her work provides the interdisciplinary data necessary for natural resource managers to understand and measure over time the human context of their management objectives and to design effective communication strategies to involve the public and key stakeholders. Jacobson’s model for the design and evaluation of environmental education programs in developing nations has been adopted in a dozen countries. Her research has ranged from the development of natural resource communication programs in Malaysian parks to the design of a biological impact assessment and ecotourism program in Costa Rica that combined conservation education with economic and ecological variables. A book she edited, Conserving Wildlife: International Education and Communication Approaches, highlights some of this work and offers innovative solutions to many human-dimensions challenges facing resource managers, particularly in tropical countries. 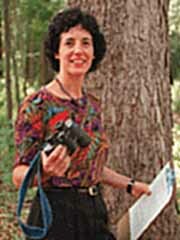 In Florida, Jacobson has undertaken a five-year study of ecosystem-based approaches to public communication by public land managers. Grants totaling more than $250,000 from the U.S. Department of Defense have provided the opportunity to work with natural resource managers at the half-million-acre Eglin Air Force Base to experimentally test relationships between communication techniques and the implementation of new ecosystem management mandates. This research has involved several thousand recreationists, neighboring citizens and military leaders in an experimental design testing a variety of media, messages and approaches. She has recently expanded this work in Florida to include other military installations. “Military lands make up the fifth-largest public land holdings in the United States, so their biological significance is considerable,” Jacobson says, noting that more than 220 federally protected species have been identified on military reserves. Jacobson also is studying the failure of conservation and development initiatives in Africa to achieve natural resource management objectives. Some of the practical findings of this recent work are published in her new book, Communication Skills for Conservation Professionals.